O' Donnellan and Joyce are delighted to offer for sale an excellent investment opportunity located at Father Griffin Road, Galway city. 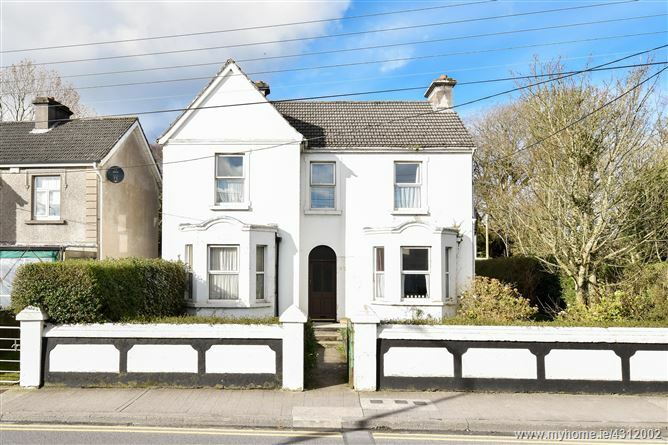 Father Griffin Road is a quiet residential area and has long been regarded as one of Galway’s most sought after premier residential addresses. Superbly located between Galway city centre and Salthill Promenade, this property provides all that one would require for modern day city centre living. Pax house is a detached residence which would be an ideal investment opportunity or alternatively with renevation could provide an exceptional family home. It is the former home of Hollywood actor, Sean McClory, who starred in over 100 films spanning from the 1940's to the 1980's. The property just a stone's throw from the vibrant cobbled streets of Galway city with its many shops, bars and restaurants. Some of Galway City's famous landmarks such as The Spanish Arch, The Long Walk, Galway Cathedral and the river Corrib are but a short walk away. The Salthill promenade & the beautiful beaches of Salthill are just a few steps away making this property the perfect residential location. This property would prove to be the ideal owner occupier residence or gilt edged investment property due to its close proximity to Galway city centre, NUIG, UCHG, as well as a host of shops and restaurants. The property also allows for ease of access to any part of the city or county via an excellent road, rail and public transport system. Viewing is highly recommended and guaranteed not to disappoint. SOLICITOR WITH CARRIAGE OF SALE: Michael Molloy, Blake & Kenny, 2 St. Francis Street, Galway. Tiled flooring, PVC Double glazed window.